Sterling Silver Magen David pendant in a branches & leaves design. An Opal accent is in the middle. 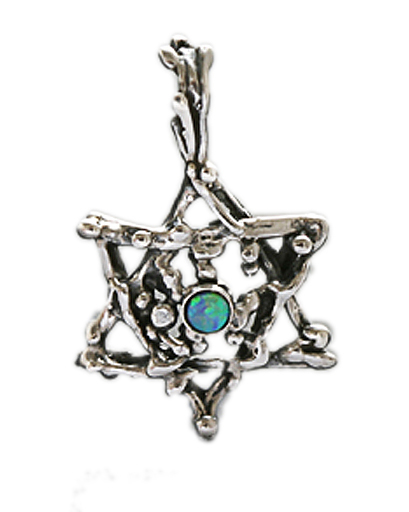 Each of the 6 sides of this Star of David Necklace is made of a stylize branch & leaves design surrounding a round opal gemstone in the center. Each piece of Idit Jewelry is handmade by Jewish Artisans out of 925 Sterling Silver.